Kevin trained in Osteopathy and Physiotherapy and has undertaken Post-graduate work in Acupuncture, specialising in pain relief and musculo-skeletal dysfunction. Kevin is a member of The Chartered Society of Physiotherapy and The Acupuncture Association of Chartered Physiotherapists. He is also registered with The Health Professions Council and The Royal College of Medicine. Kevin always had a fascination for mechanics and hydraulics. I remember when we started courting (I was 16, and he was 17 – ahhh!) and I visited him at the farm where he and his family lived, he was always in the barns taking some engine to pieces. His hands were black with oil, and he always smelled of swarfega. In 1975, at the age of 17, he began serving a 4 year Apprenticeship in Motor Mechanics, attaining City & Guilds Qualifications. To further his knowledge in the subject, he studied City Guilds Mechanical Engineering for a further 3 years, acquiring a HND certificate. Due to Kevin’s physically very heavy, demanding engineering job, he experienced low back pain, and was advised to approach a local Osteopath for help. He was greatly impressed with the results and the application of certain osteopathic and massage techniques that got him out of pain, and walking upright again. From that moment he wanted to train in Osteopathy, and put all his engineering and mechanical knowledge into improving skeletal and human structural dysfunction. A few years later the opportunity arose and he decided to go for it. Kevin Studied for over 4 years at The Northern College in Lancashire and attained their highest award with a Diploma of Honour in Manipulative Therapy. In 1990 we set up a Back Pain Clinic in Mapperley, Nottingham, and Kevin’s no nonsense approach to treating back pain and neck pain became very popular. Kevin has a very good sense of humour. De rigeur in Clinical practice. In 2005, with a successful and well established Osteopathy practice, he decided to merge into Physiotherapy, and in 2006 he became Chartered, after being accepted by the Chartered Society of Physiotherapy. Registration with the Health Professions Council followed. In 2007 he carried out post graduate training in Acupuncture and is now a member of the (AACP) Acupuncture Association of Chartered Physiotherapy, and a member of the Royal College of Medicine. Kevin’s previous vast knowledge of hydraulics and mechanics has enabled him to apply these skills to his Clinic practice. He has an intuitive approach to examination and palpation of painful, dysfunctional muscles and joints. He is very hands-on and can quickly pick up problem areas, carrying out effective treatment protocols, and establishing normal function to reduce pain as quickly as possible. Our local clients from the Nottingham, Mapperley and Arnold areas report feeling almost immediate pain relief after treatment by our highly experienced Nottingham physiotherapist. 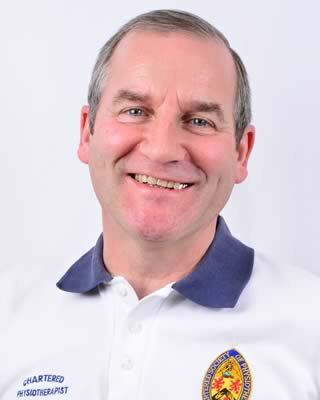 Kevin now runs Nottingham Health & Wellbeing Clinic, with me. We are situated in the highly respected Plains View Surgery Mapperley Nottingham. Kevin works closely with Consultants, local GP’s and the Community, and is passionate about hands-on Physiotherapy treatment. Over the years Physiotherapy training in Universities has concentrated too much on exercise and technology. Physiotherapists need to get back to the ‘roots’ of the treatment. Roll their sleeves up, get some massage oil on their hands, and start working on those tight, painful muscles. Improve the circulation, break down the adhesions, and who knows, miracles might happen ....!